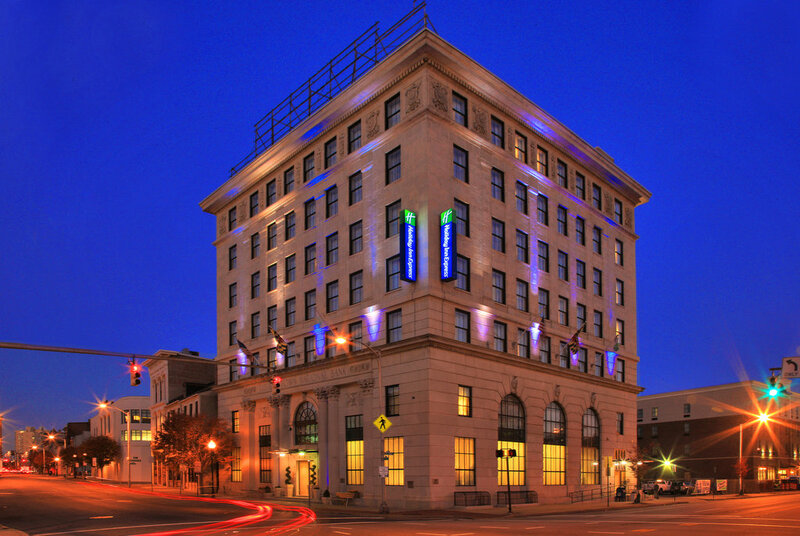 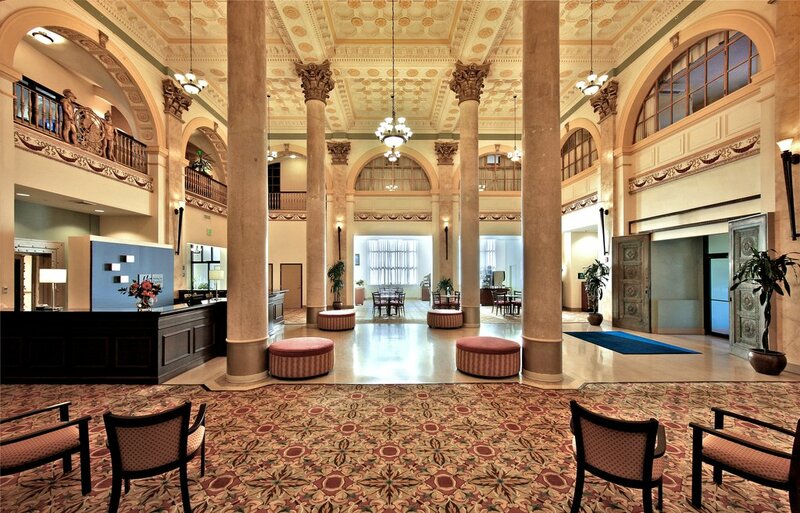 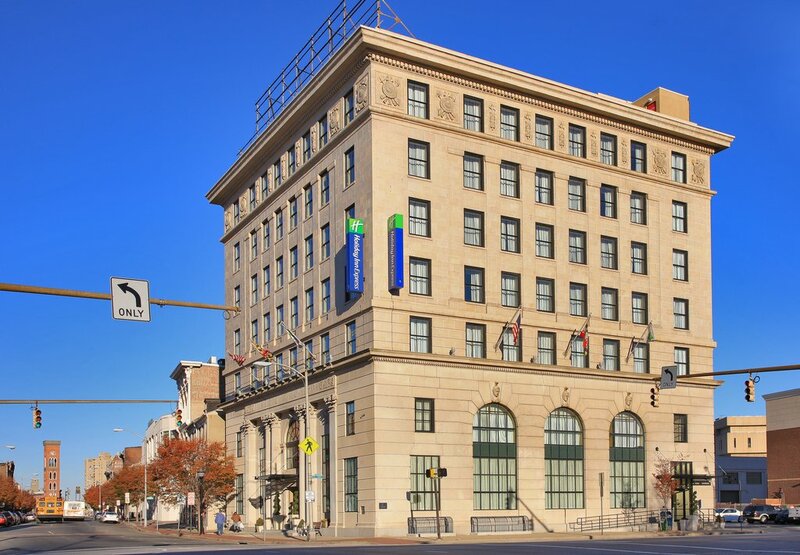 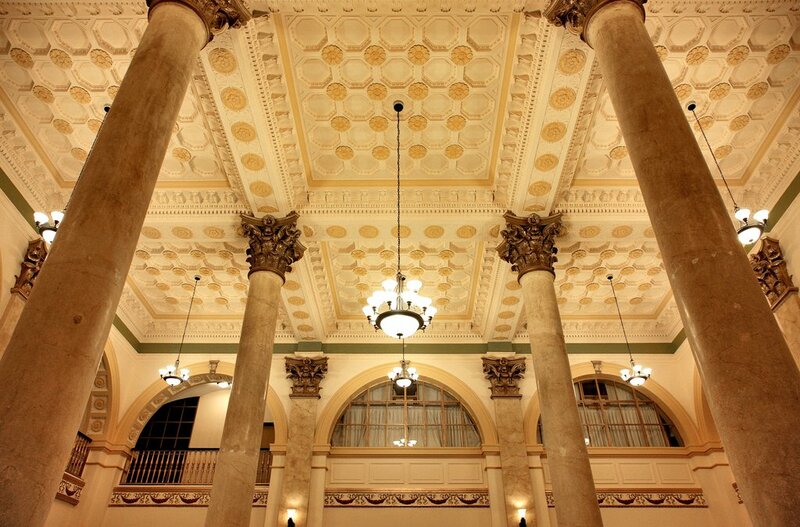 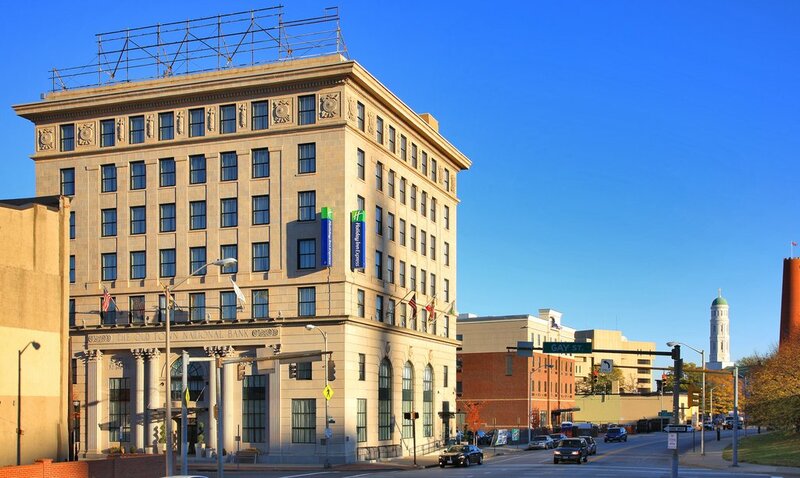 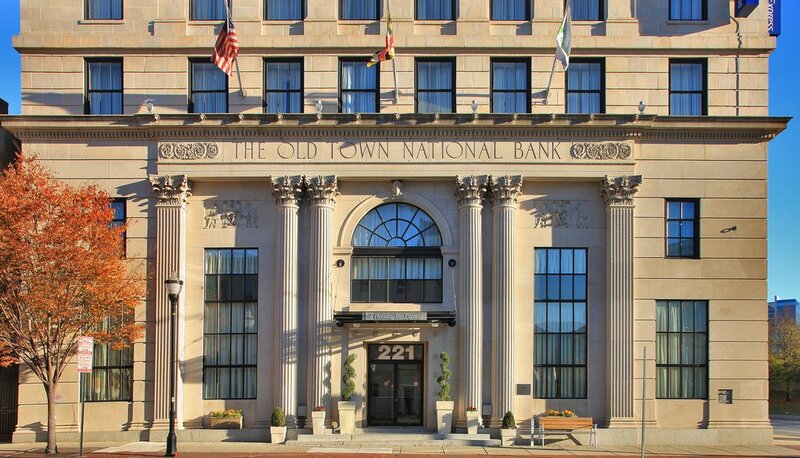 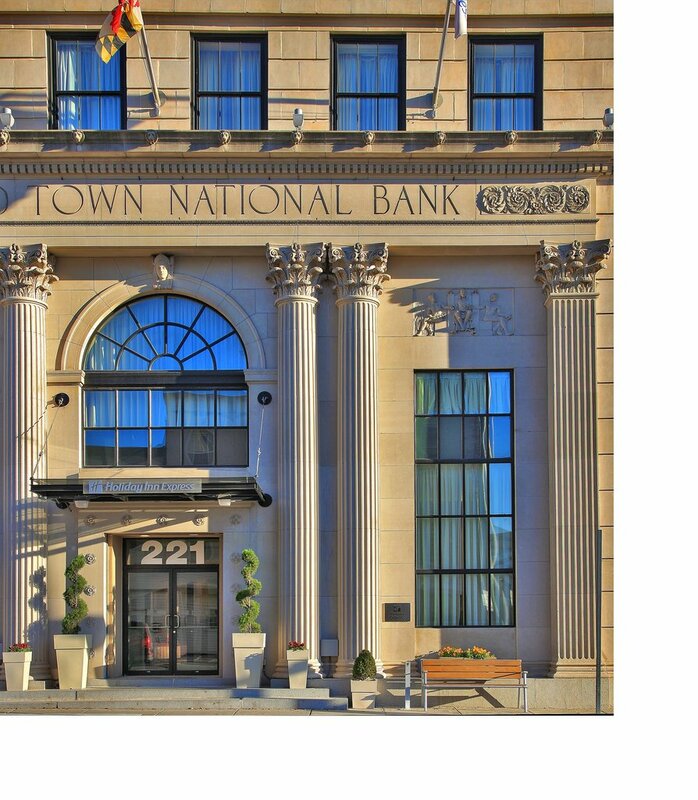 Housed in the original 20th century Old Town Bank, the Holiday Inn Express® downtown Baltimore hotel is located just minutes from the Inner Harbor, Baltimore Convention Center and many area businesses. 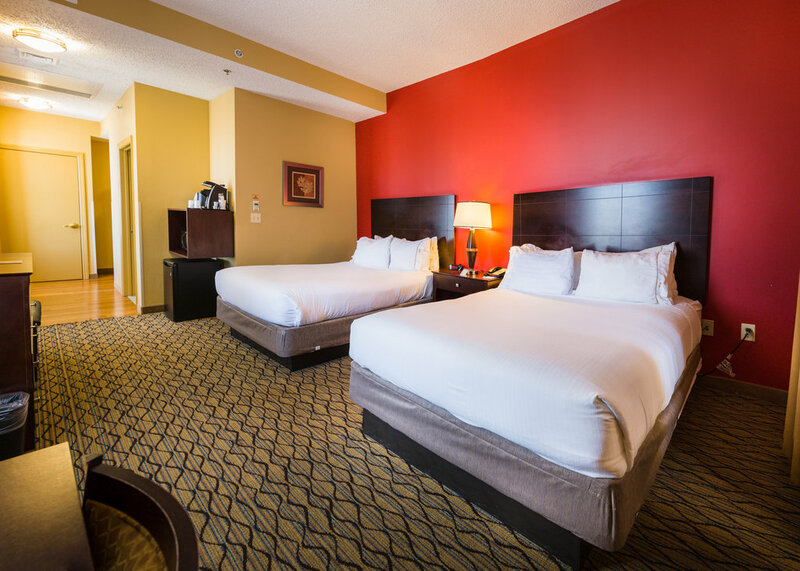 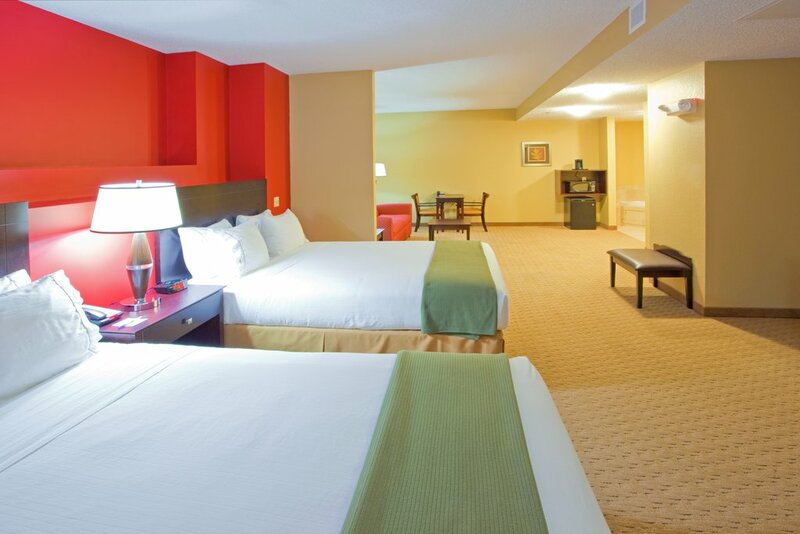 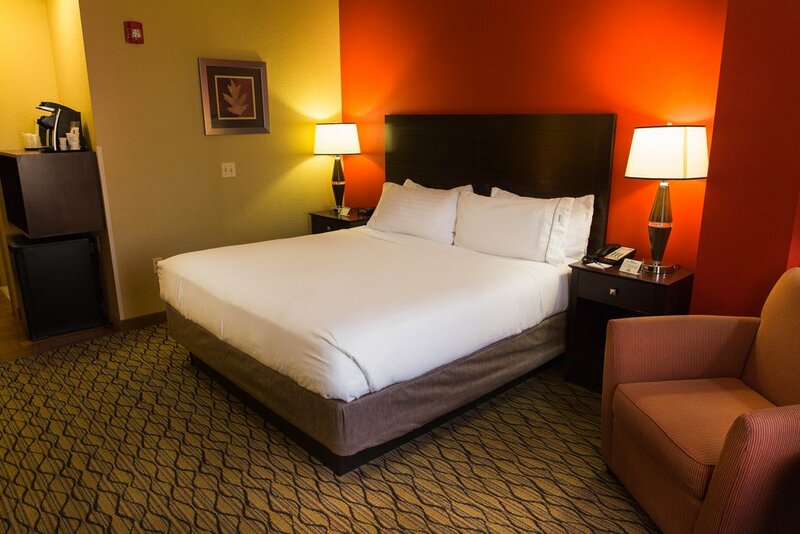 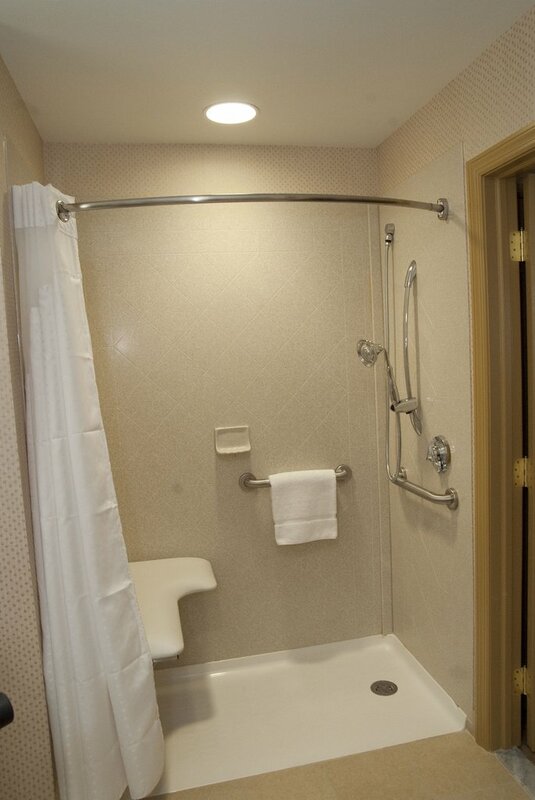 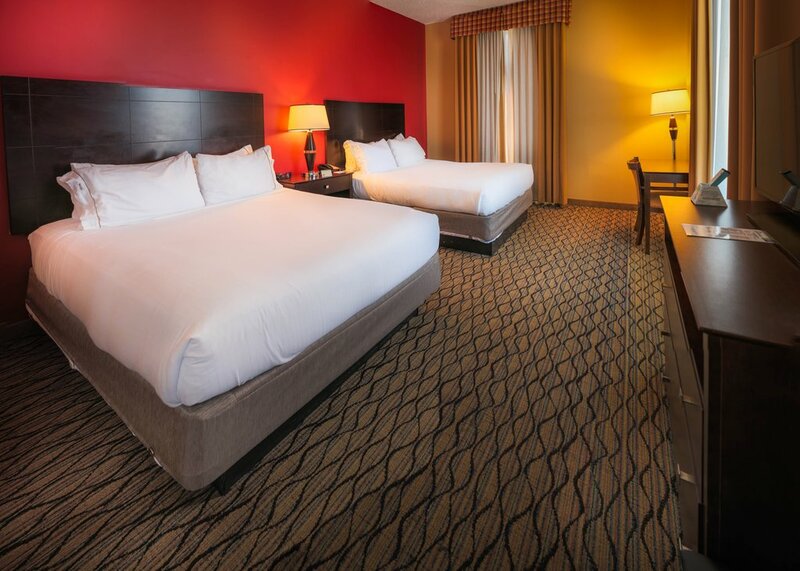 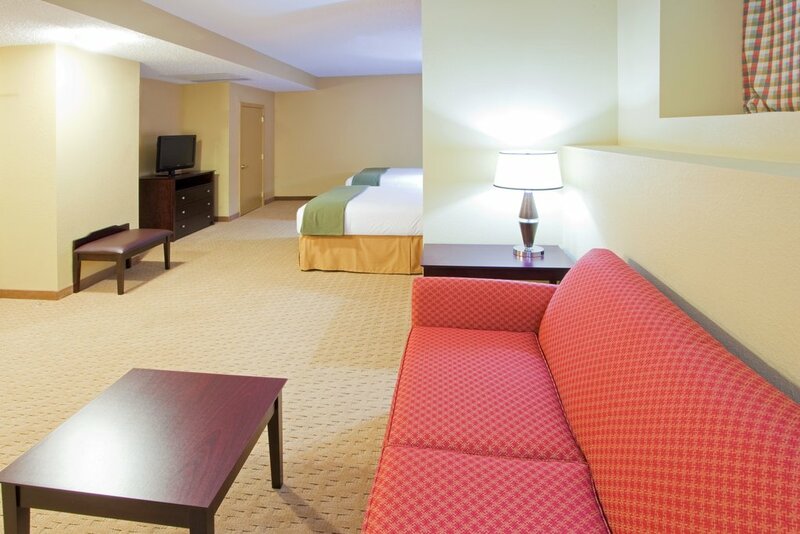 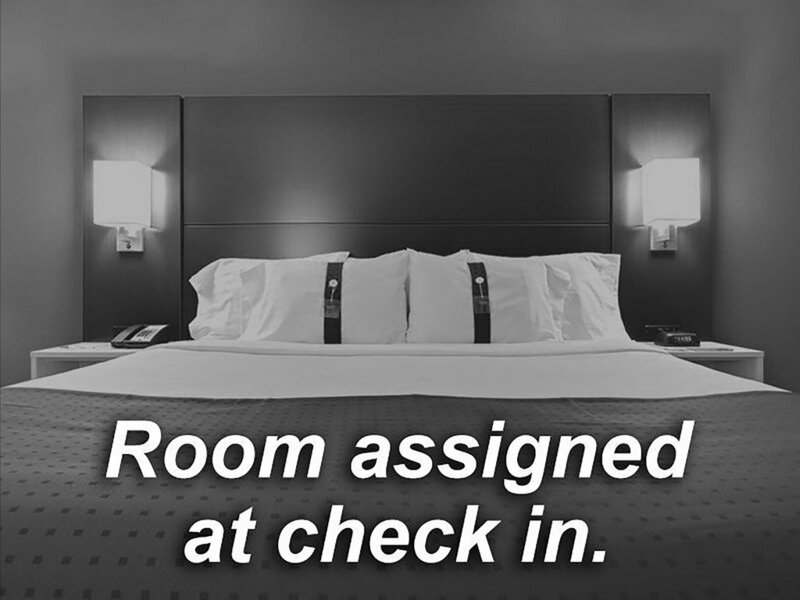 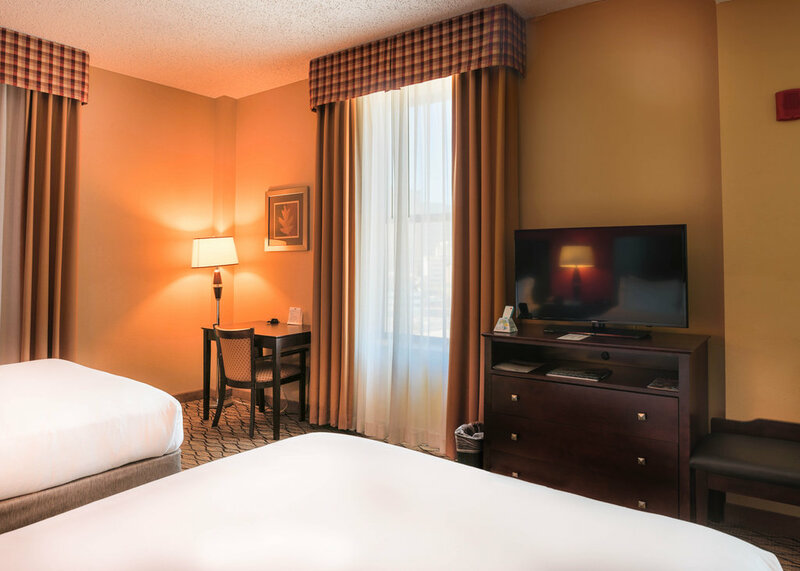 Our accommodations are the perfect choice for both business and leisure travelers.Other hotels in Baltimore, MD can't match our location. 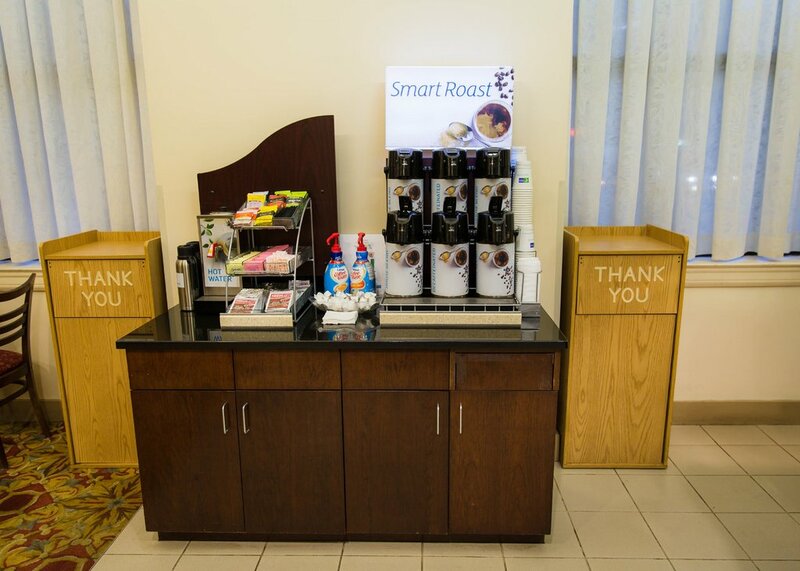 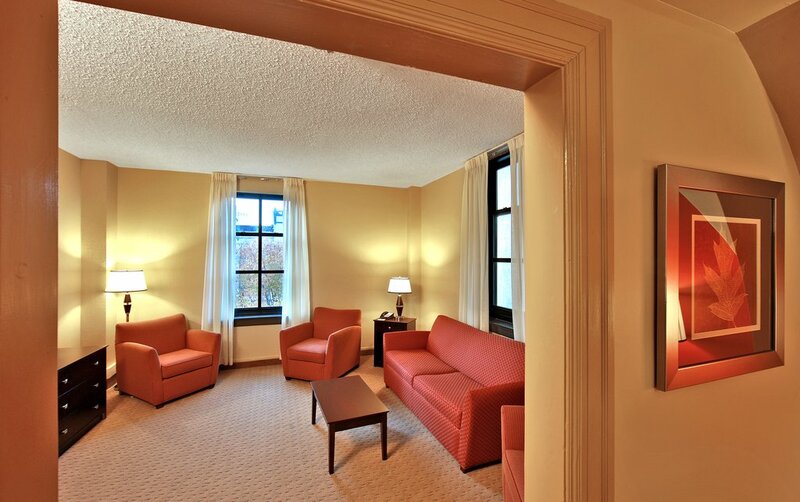 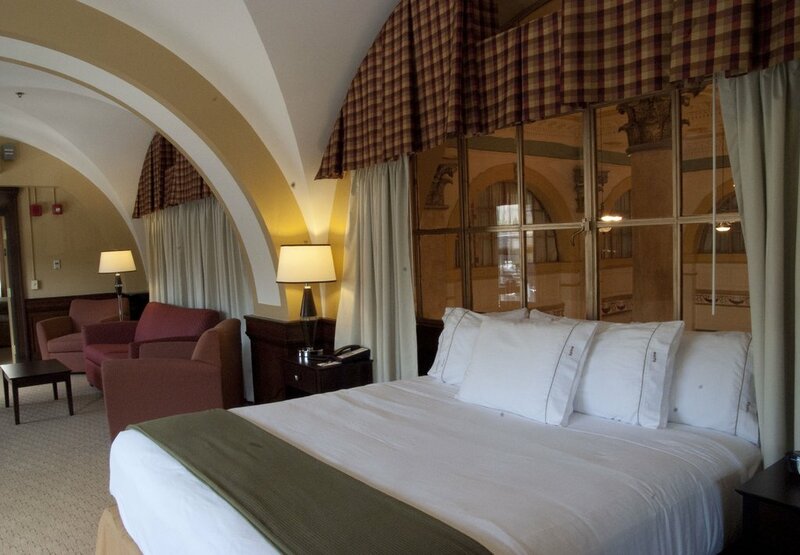 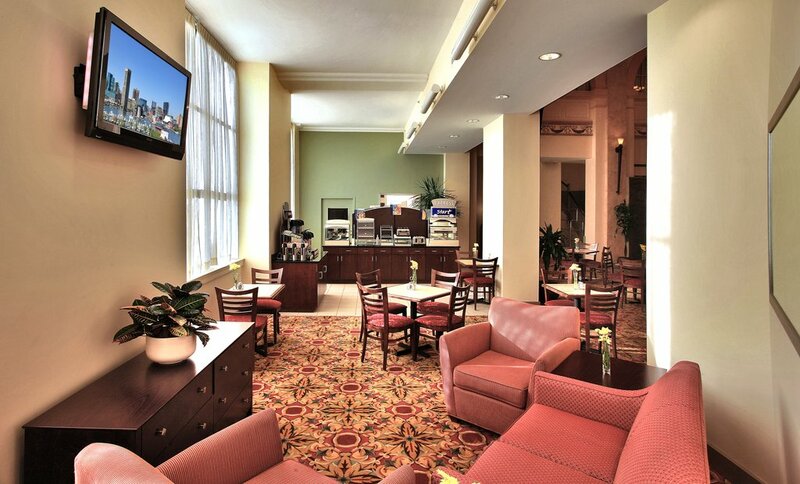 We are the closest hotel to Johns Hopkins Hospital and only three blocks from Mercy Hospital. 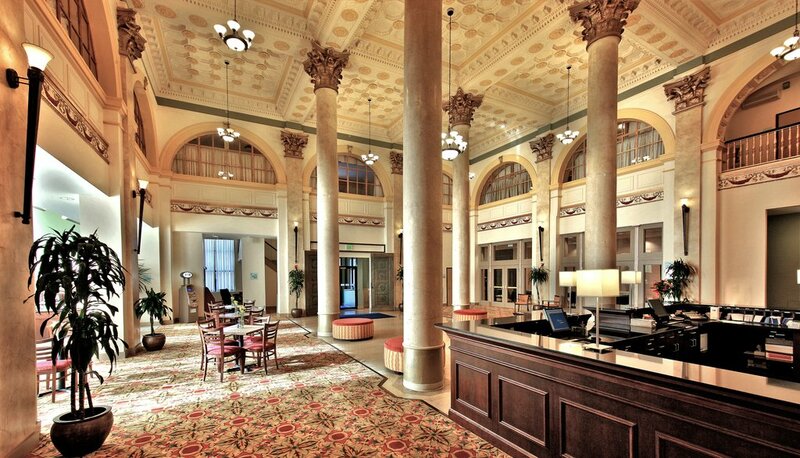 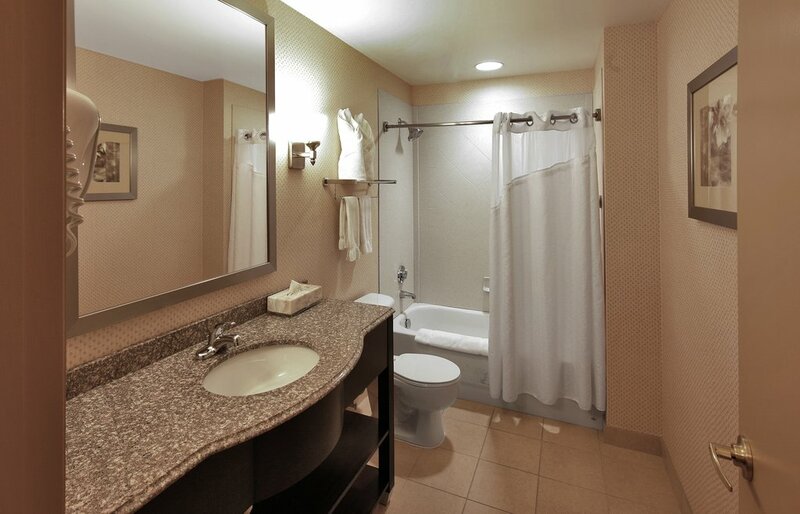 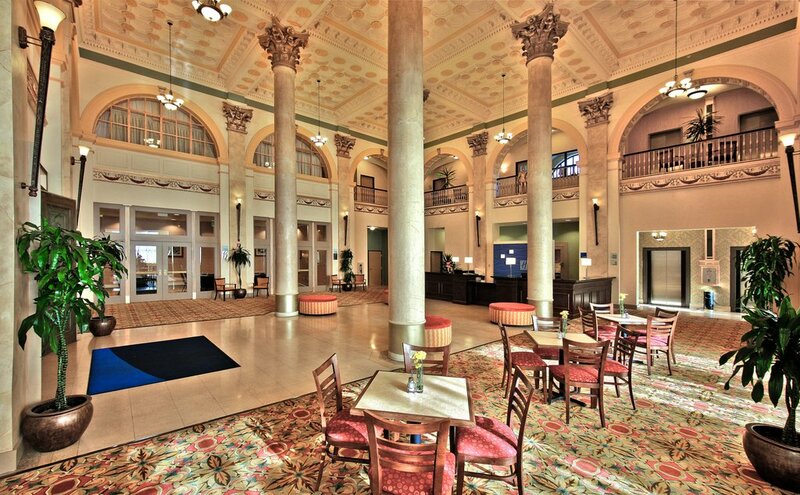 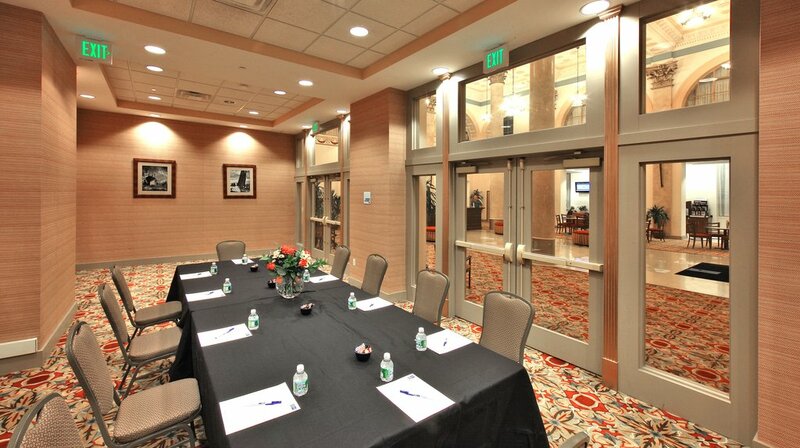 The Convention Center and the Central Business District are just minutes away, as well. 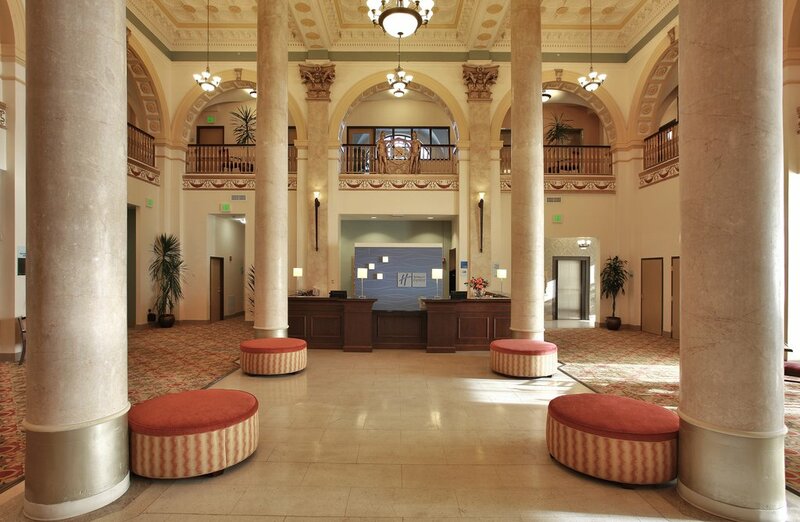 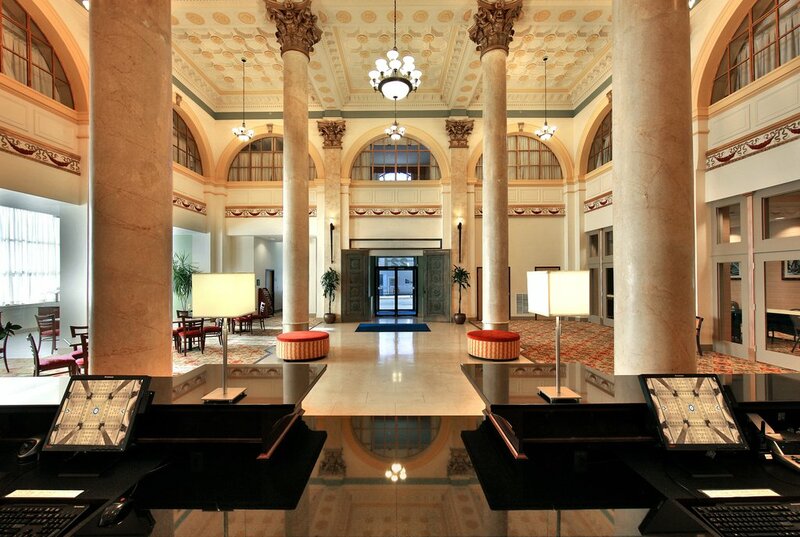 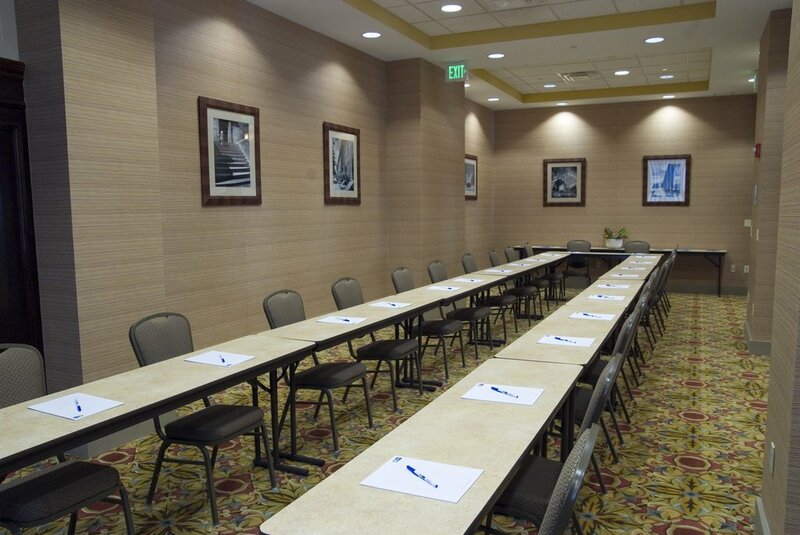 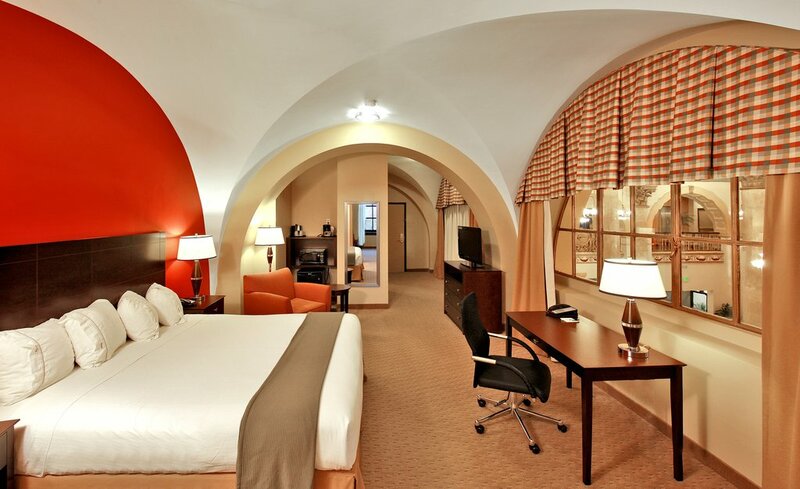 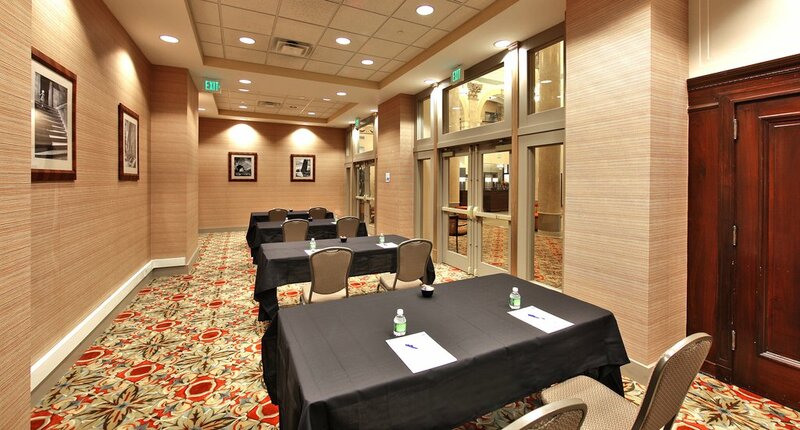 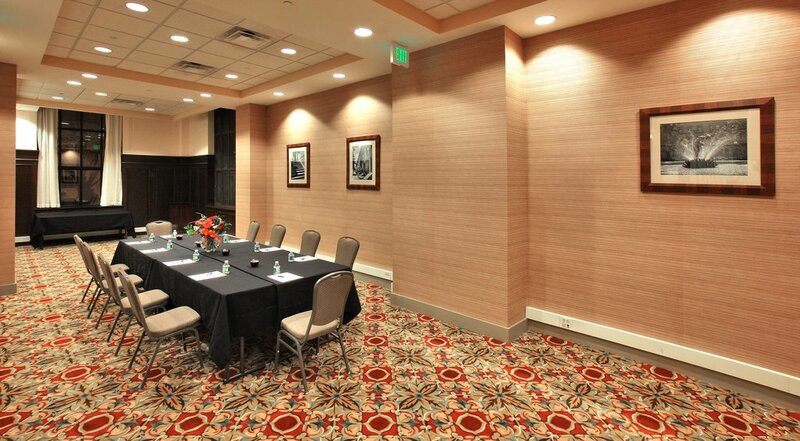 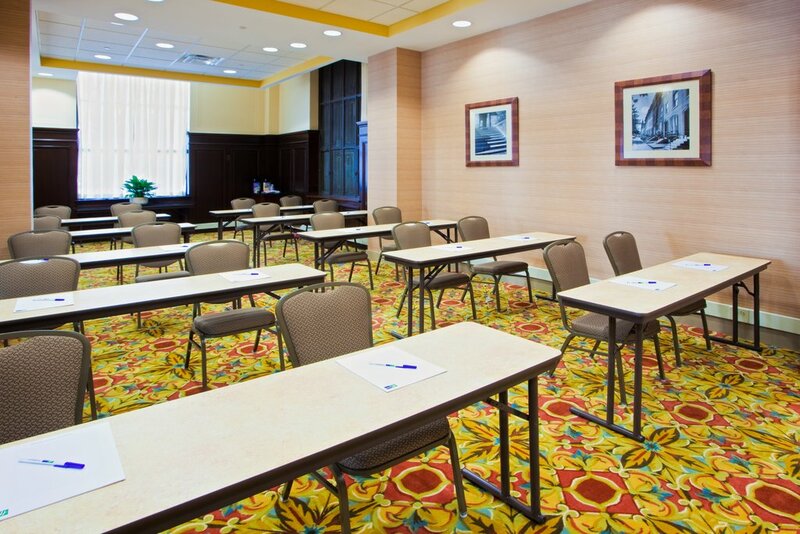 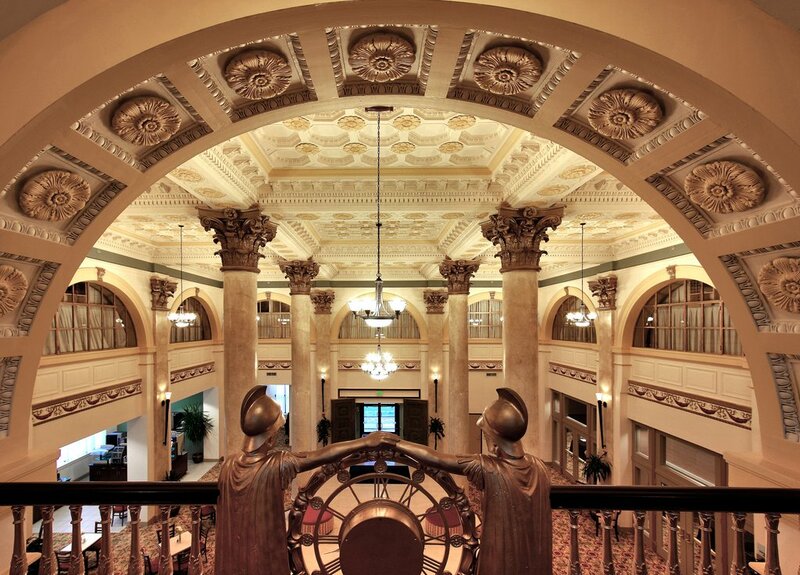 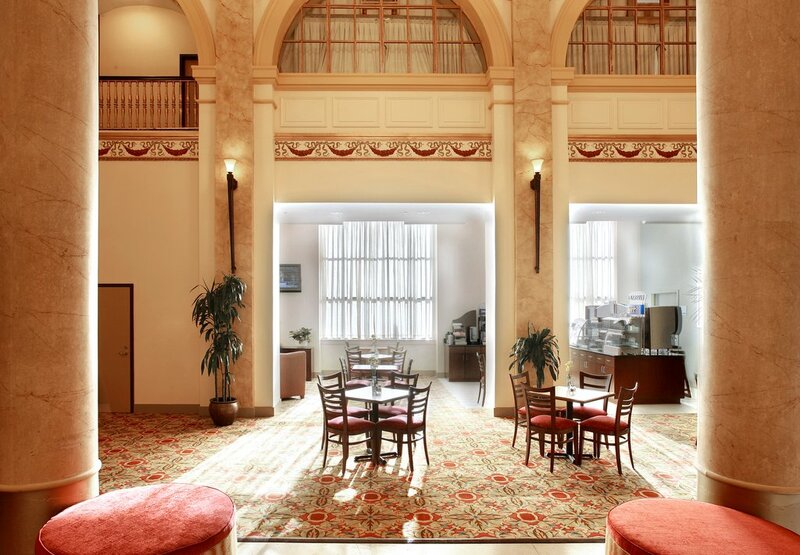 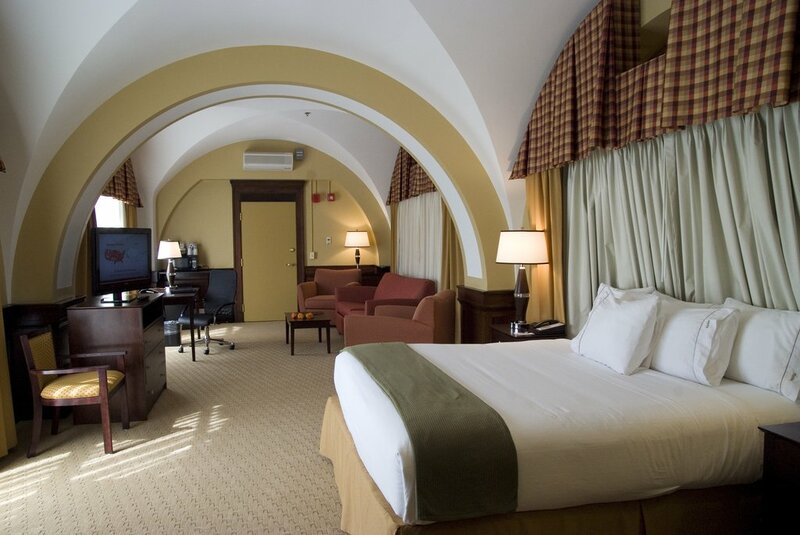 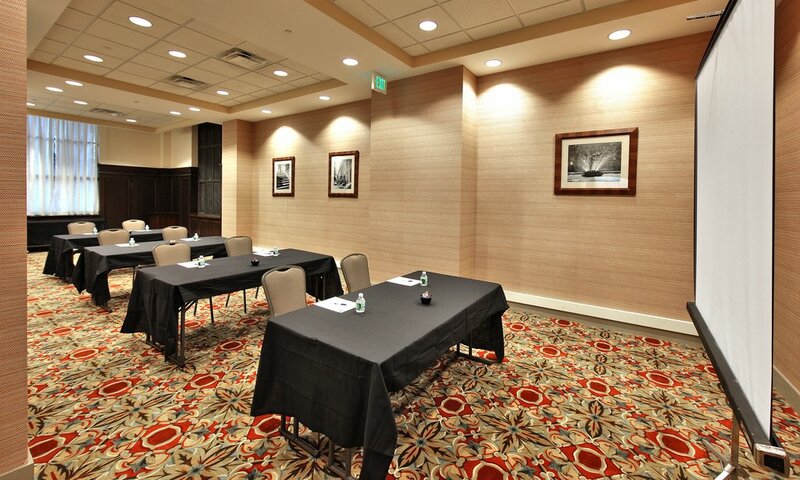 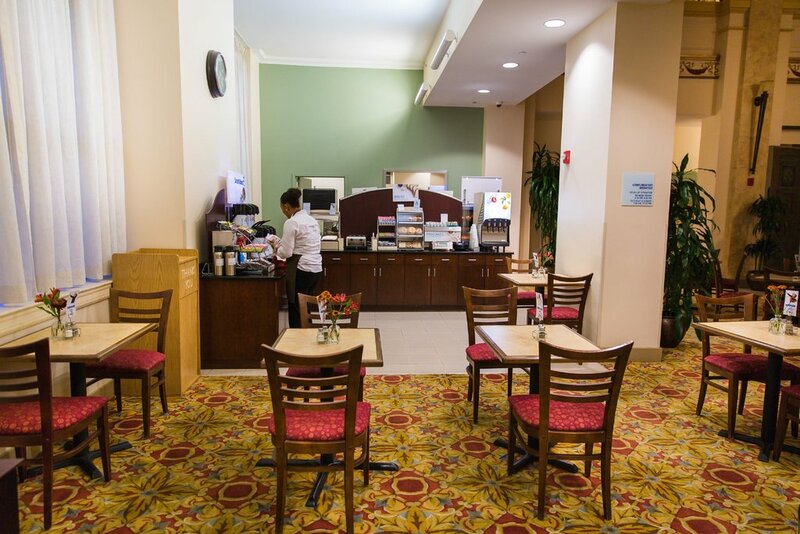 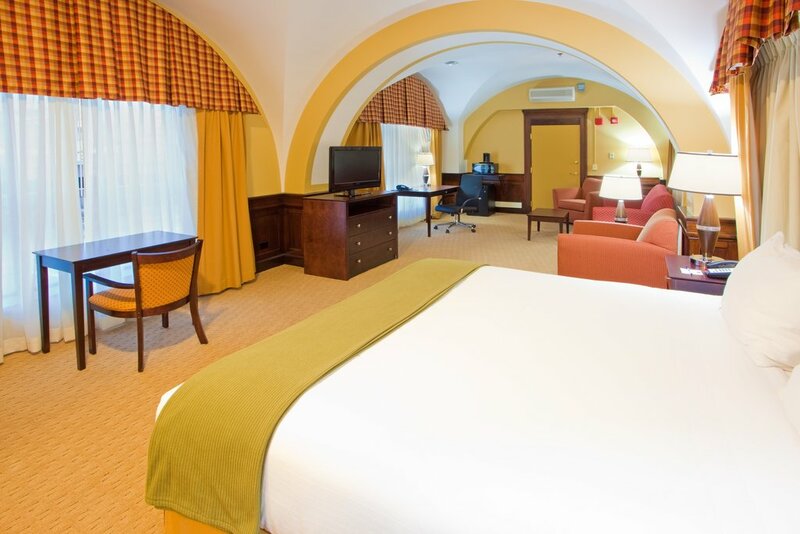 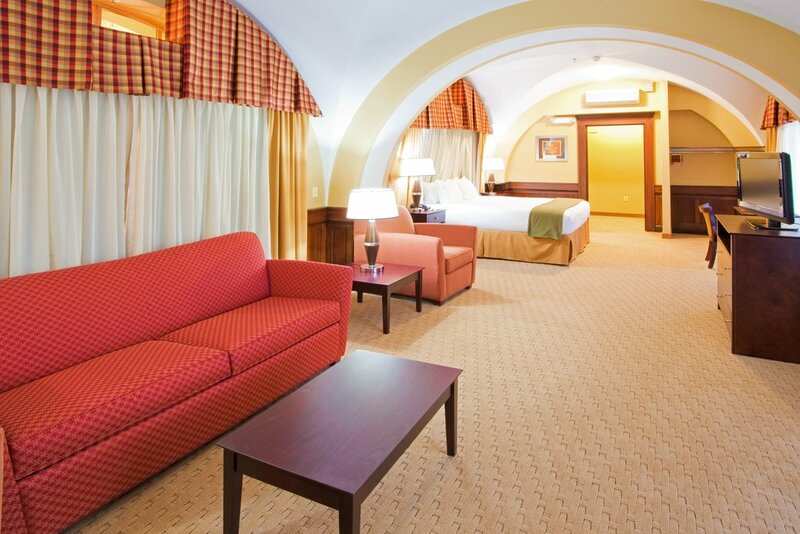 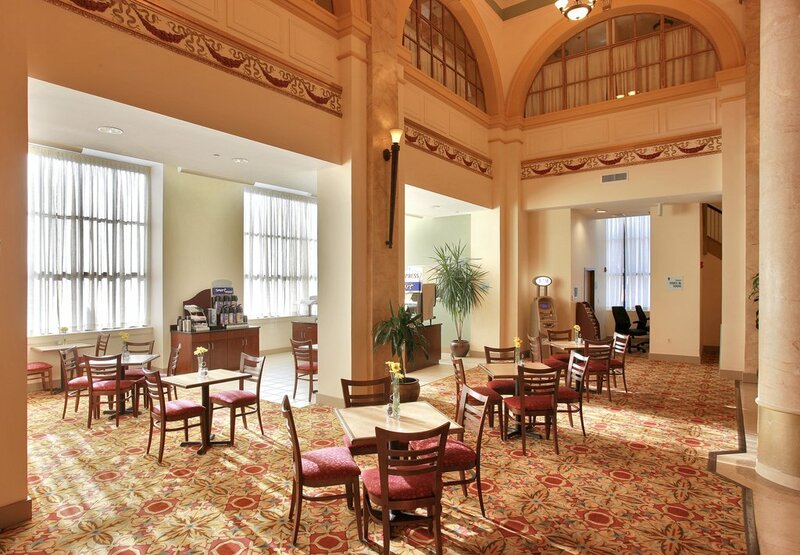 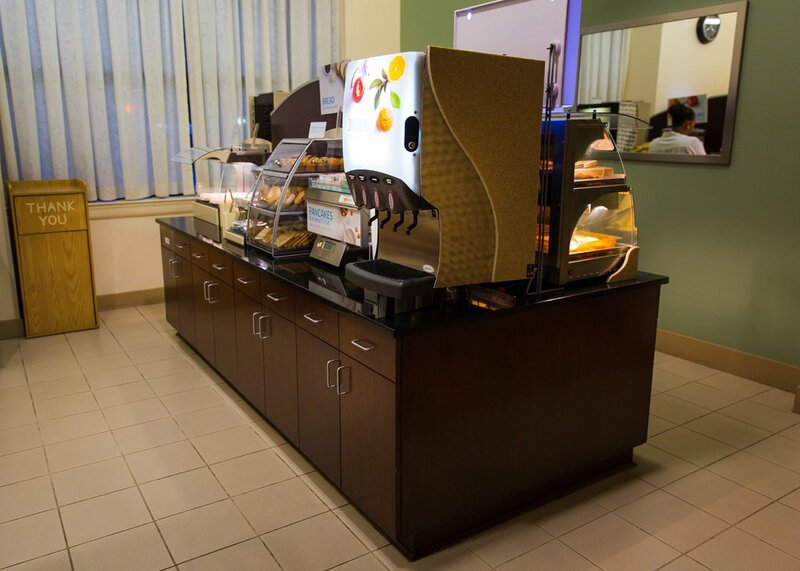 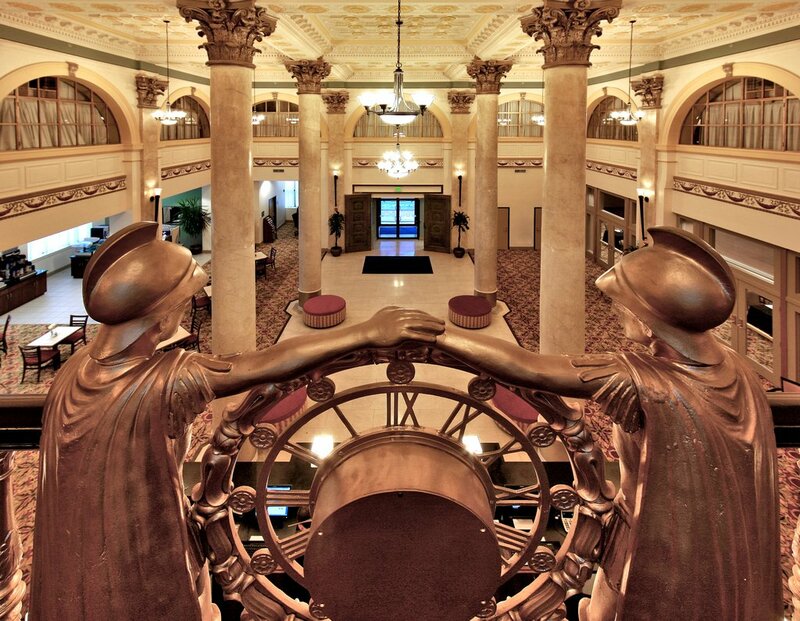 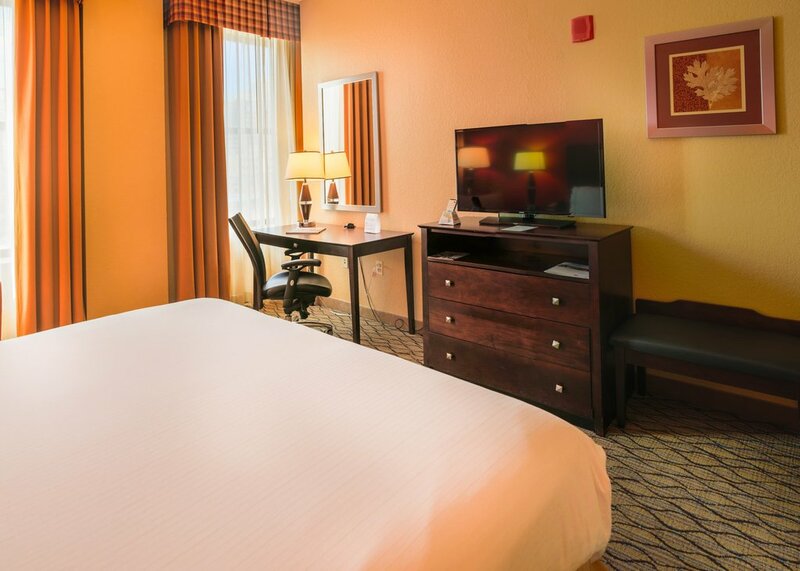 With a business center, meeting facilities and free Wi-Fi access throughout the hotel, our corporate guests have everything they need while staying in downtown Baltimore.Our hotel's location in Baltimore, MD is ideal for exploring the area's many attractions. 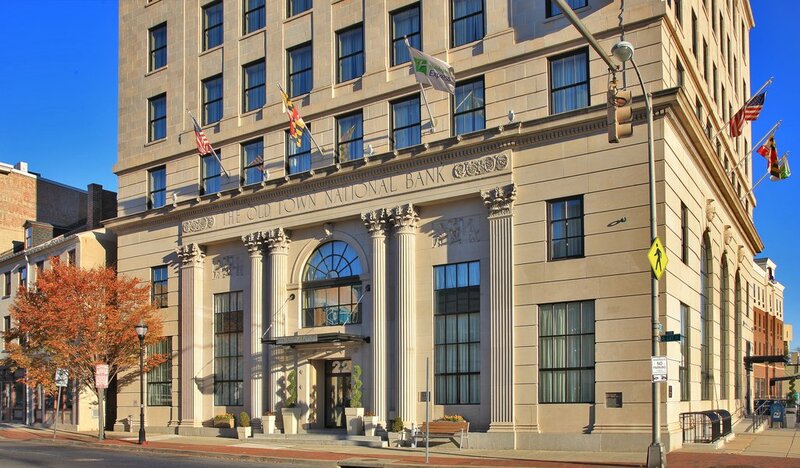 Stroll through the Inner Harbor, where you can find fine dining, shopping, entertainment and many of the city's top sights such as the National Aquarium, Port Discovery and Fort McHenry. 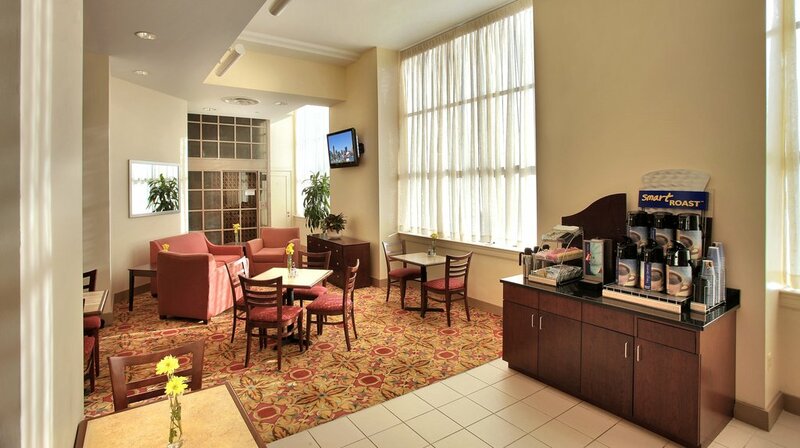 Sports fans can easily catch an Orioles game at Camden Yards or a Ravens game at M&T Bank Stadium. 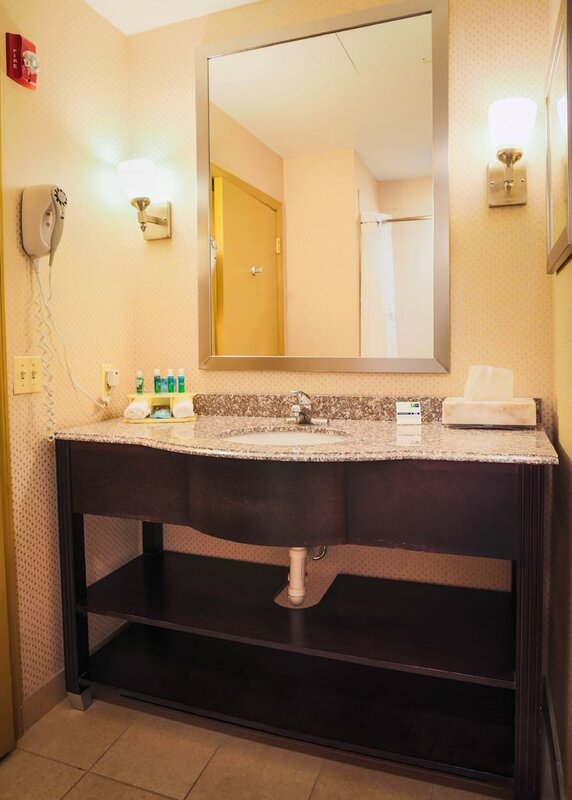 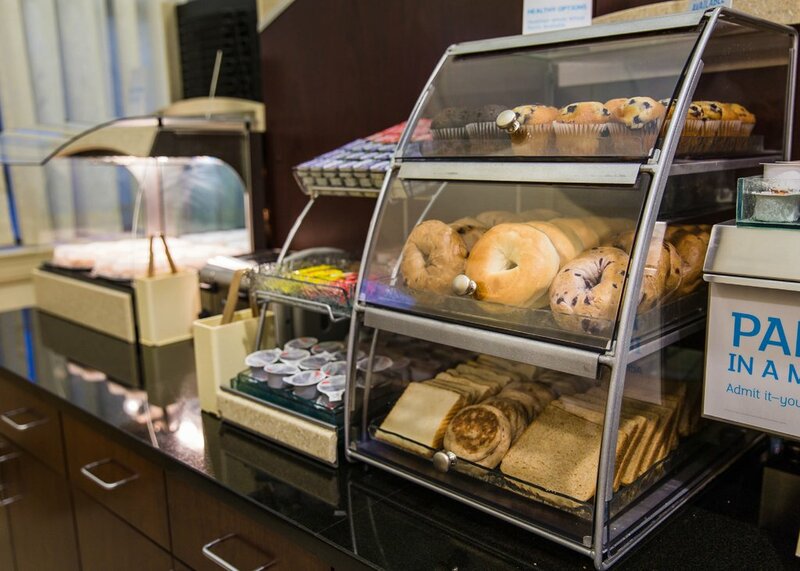 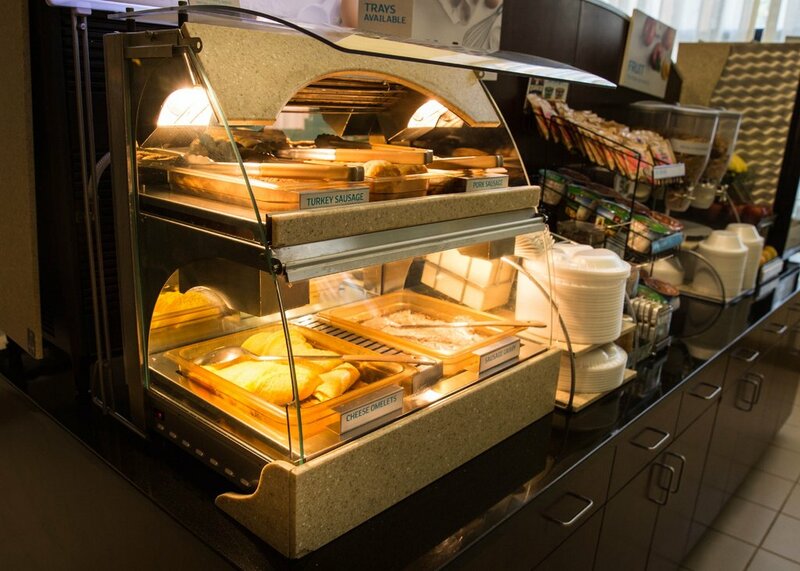 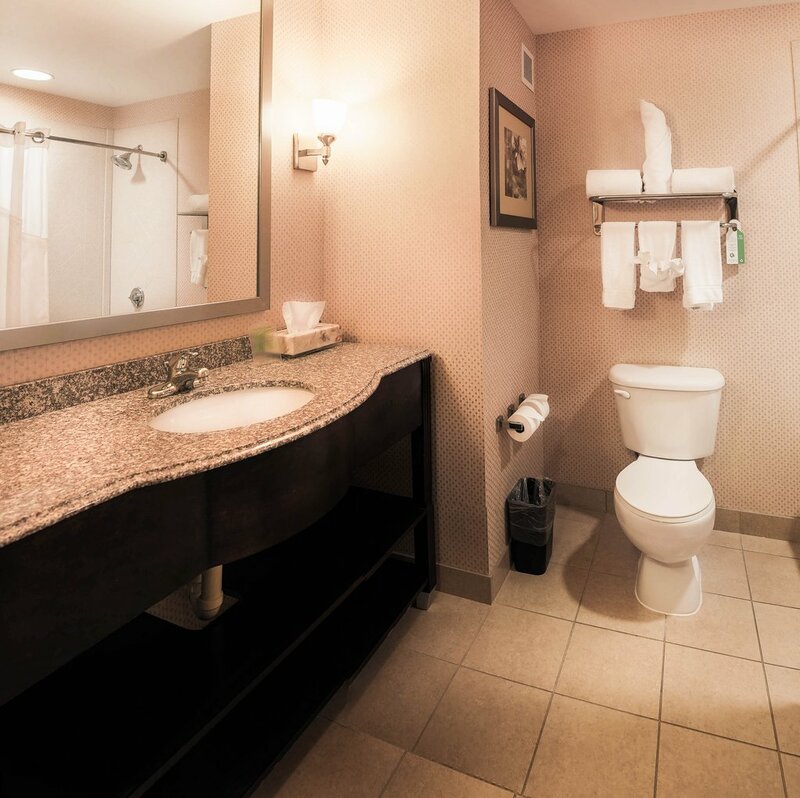 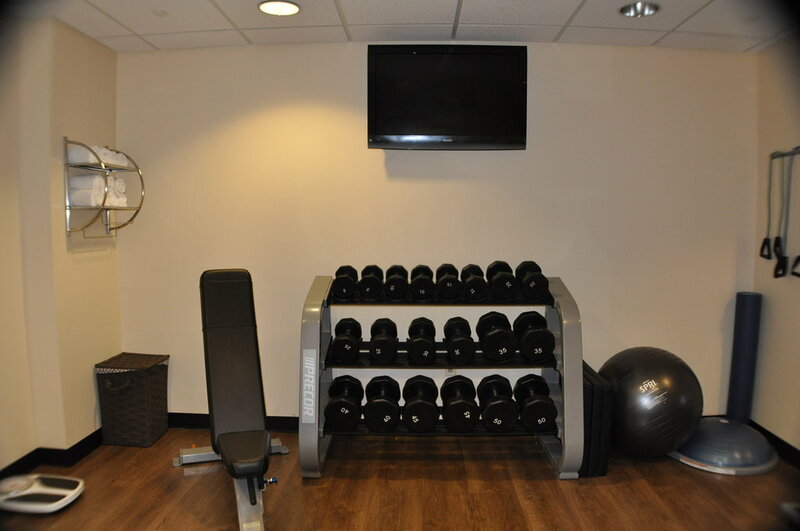 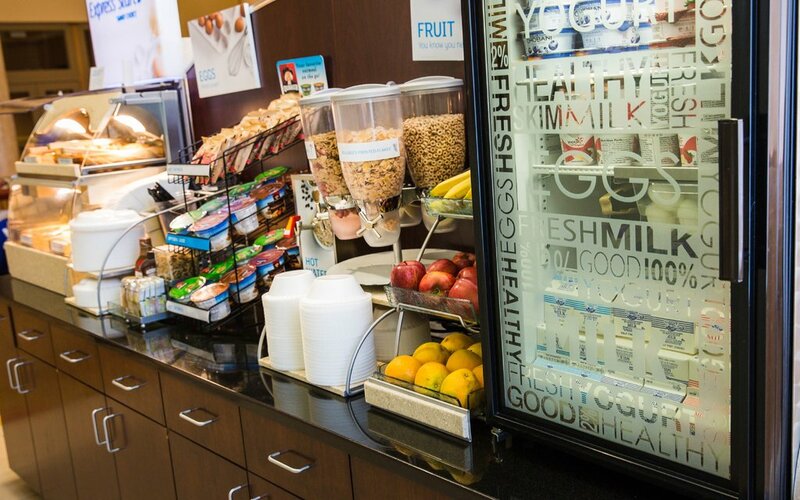 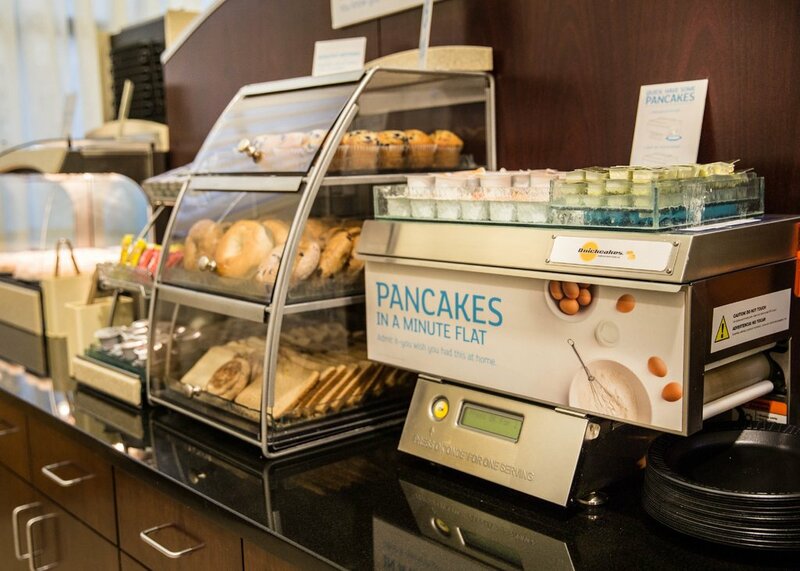 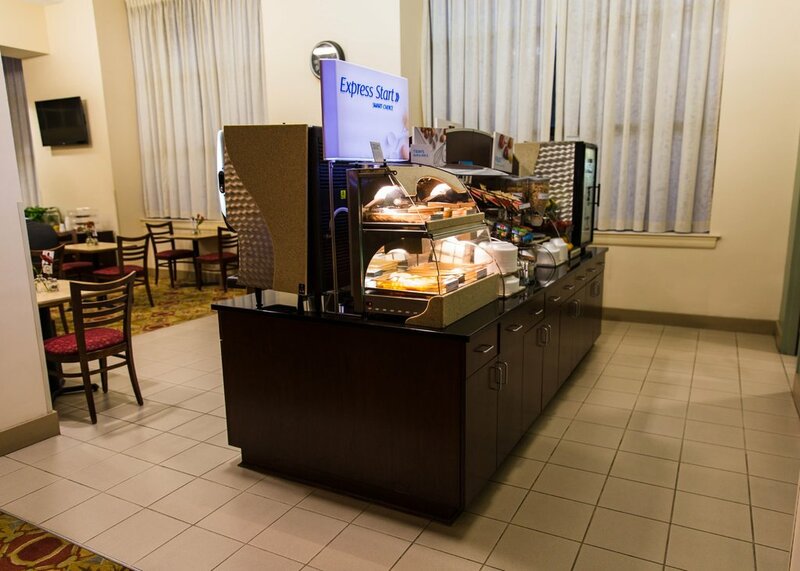 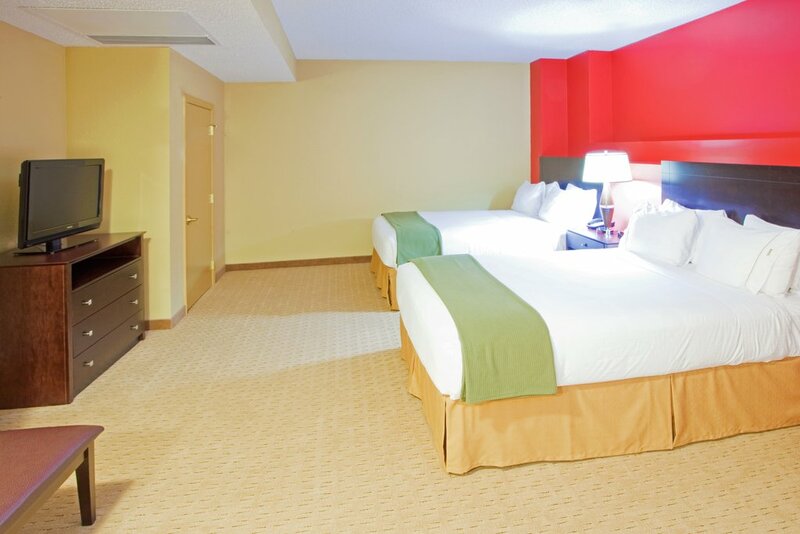 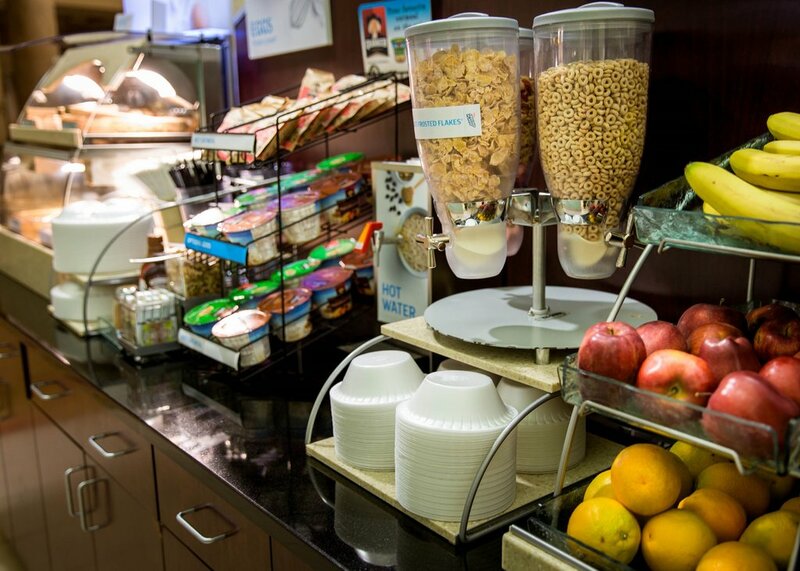 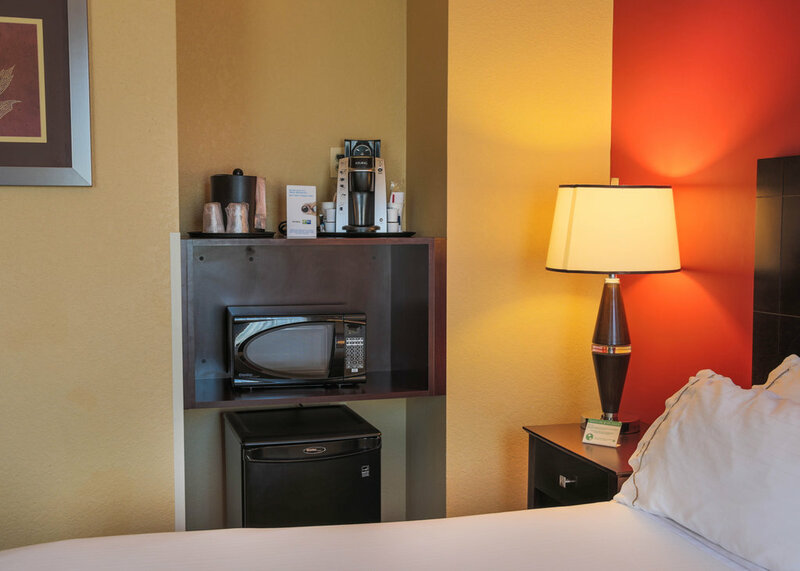 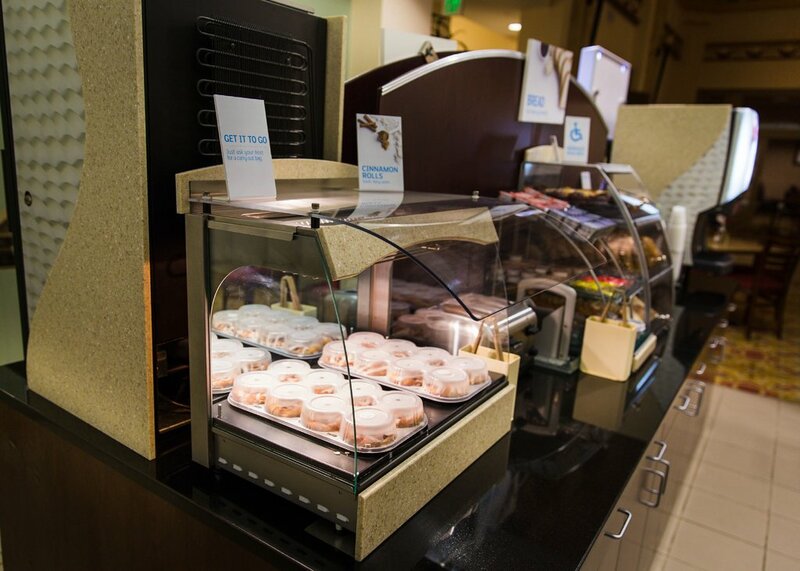 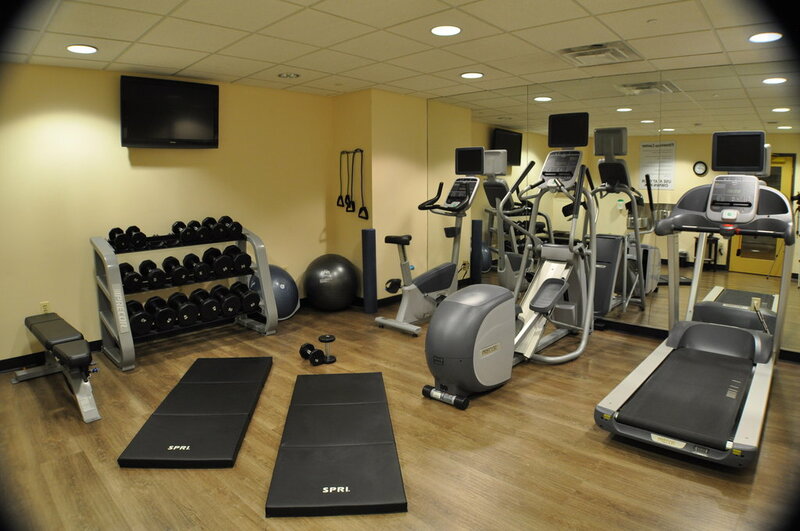 Countless adventures await you in downtown Baltimore!Our hotel features great amenities and services with a 24-hour fitness center and a complimentary Express Start breakfast buffet. 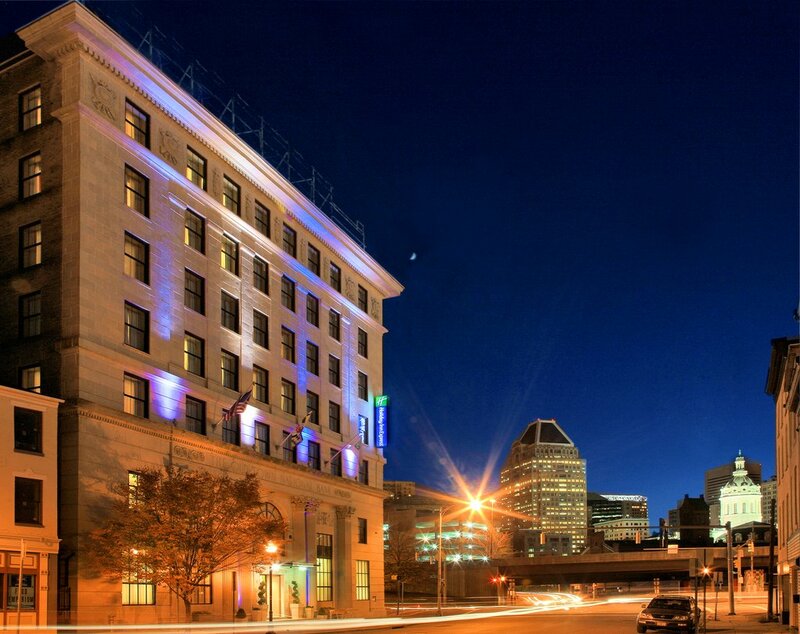 We also provide free, scheduled shuttle service to Johns Hopkins Medical Campus, Mercy Hospital, Baltimore Penn Station and the Baltimore Convention Center.